Our best-selling and multi-award winning GORE-TEX ® Pro jacket for mountaineers who require absolute protection. The Lhotse Jacket provides unstinting weather protection for those that head into the mountains whatever the weather. Whether battling blizzards on a Scottish winter Munro or tackling an alpine north face this is a serious shell for almost any occasion. 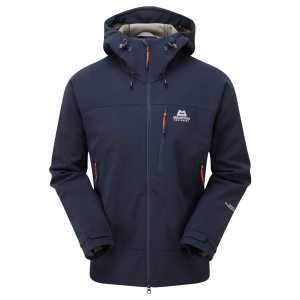 The Lhotse is Mountain Equipment’s best selling and multi award winning jacket. Built to provide maximum protection for Alpine mountaineering and Scottish winter climbing. 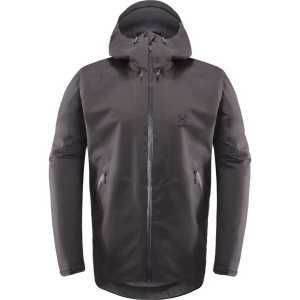 It features 3-layer Gore-Tex Pro 40D fabric on the body and 80D reinforcements across the shoulders and arms to ensure it stands up to plenty of wear and abrasion. Other notable features include a fully adjustable mountain helmet compatible hood, YKK Aquaguard zips and pre- shaped and articulated sleeves that make the Lhotse a very comfortable and unrestrictive shell jacket. Attention has been paid to every last detail of this jacket in order to maximise the usability and performance of the wearer the Lhotse is perfectly capable of handling the harshest conditions in the most remote places.